Raw is three hours and I end up making these two, two lower articles for it, but not for SmackDown . SmackDown is simply better and finished in much more time consuming time. Today, it is difficult because it was not only Raw particularly good, it was not really interesting or eventful. It's probably worse than just being bad. My positivity has been quite high in recent weeks, but man … forget it, let's get it started. Op: Becky Lynch loses it – I & # 39; I'm glad I wasn't the only person to believe we get decent character work out of this Becky Lynch thing. The damage after the loss to Asuka leads to some cracks in the mental armor that has been Lynch's greatest strength recently. 1; and more importantly believed in themselves. Don't apologize for shooting at the top and not taking prisoners along the way. That's what has won her support. Don't you think she's afraid that everything will be for nothing if she's really hurt? It really is the only explanation that makes sense to her actions for me. And if I'm right, I think it's a nice, humanizing touch. The only unfortunate part is the obvious how this plays out to destroy the battle that everyone wants on WrestleMania . 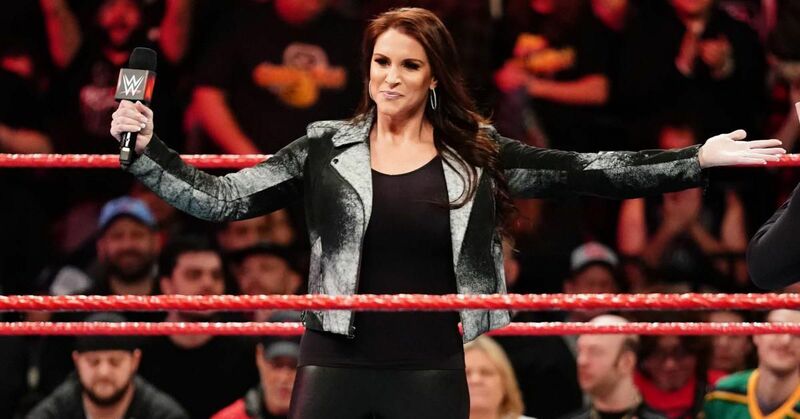 With Becky "suspended," McMahon will want someone in the fight. Enter Charlotte Flair. Flair comes in the fight, Lynch is eventually cleared, but you do not take the fight away from Flair. Tree, three-way. Blah. Down: The moment of the bliss is still bad – I really do not understand what they are trying to achieve with Moments of Bliss. It's a talk show that never actually works, is full of interruptions and pulls Alexa Bliss down. Bliss careful for her sexuality is fine if done well. I have no problem with flirting with EC3. But there is no power for the talk show element of things, and it's just a wreck. Dean Ambrose was more entertaining on the microphone than he has been for a long time during the final break, so it's cool. To say that EC3 seems like a Creed fan felt a lot on his nose. And the follow-up fight was fine, though Ambrose suddenly switched from mega-heel to talking like a face and acted like a heel. But Moment of Bliss is not a good segment. Op: Kurt Angle's Last Trip – I'm still very much in Kurt Angle as the aging gunslinger who knows he's running in his last fight. When he knew he used to be a man who could and could tear through men like Baron Corbin, but physically cannot pull it off, it's just a good storytelling. And it seems nice to pair him with Braun Strowman as his youthful, powerful backup. Give me more of Angle fighting time. Down: But why DQ? – Or more specifically why at DQ. I don't like breaking out a DQ for rules you never enforce at first. When was the last WWE match ending in the DQ because the non-legal member of a team was involved? By the rules, yes, Strowman didn't punish the punishment order to get out of the ring. But the double team is established WWE tag thing. And the rules are enforced so loosely in all battles that Bobby Lashley posted to Finn Balor during Balor's struggle with Lio Rush and there was no DQ, only Lashley ran out of ring time. I just don't like The way DQ came in, because next time we see such a situation in a WWE tag fight, it doesn't matter. Just use Braun to use a chair or staircase or something to justify the DQ and go about things as normal. … I just remembered that Elias vs Jeff Jarrett matched, and that should probably have been the last down. But just as it sucked life out of the crowd, it was sucked by my memory.